A secondary battery on board requires a dedicated charging solution. The Charge Mate Pro makes it possible to distribute the charger or alternator current effectively between two battery banks such as a starter and a service battery. The Charge Mate Pro connects both batteries during charging and keeps them isolated when discharging. This significantly reduces the risk of a flat starter battery for example. The Charge Mate Pro offers an additional advantage over mechanical charge relays, by limiting the charge current to the second battery. The primary battery, like a starter battery, is therefore charged with priority. The return current is automatically blocked even when the secondary battery has a higher voltage. 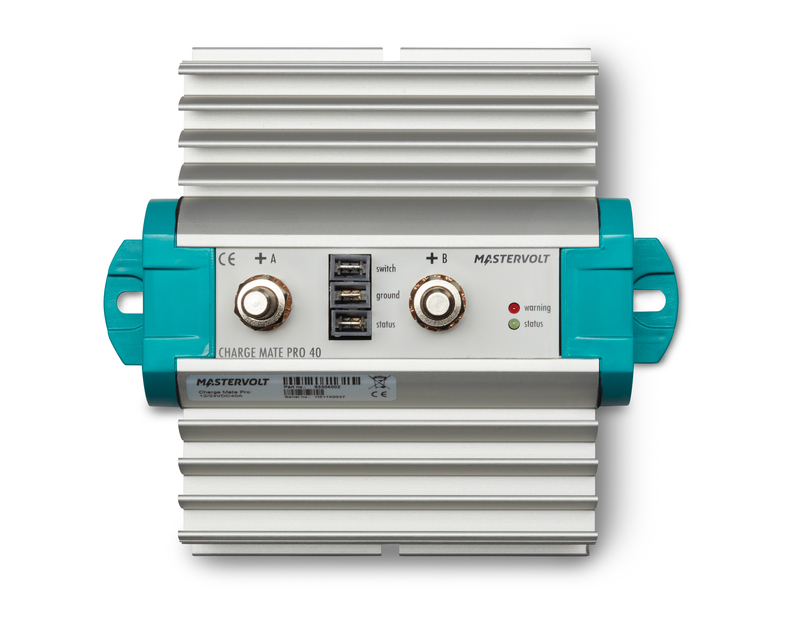 An emergency start function is possible by connecting an optional bypass switch to the Charge Master Pro. A marine application example is the connection of a bow thruster battery to a service battery. The Charge Mate Pro ensures that the service battery is always charged with priority. The blocking of the return current from the bow thruster battery guarantees that the bow battery remains charged while the current limiting also prevents power dips of the onboard electrical network. The Charge Mate Pro series consist of a 40 Amp and a 90 Amp version, both suitable for charger or alternator applications. The Charge Mate Pro 90 ensures a higher charge current for example when charging Lithium Ion batteries. It is also perfectly suitable for large automotive alternators up to 180 A and can be used in parallel operation with a 225 Amp alternator to fulfil even higher continuous power demands of your equipment on board. Charge Mate Pro: for controlled charging from a single source. Leisure and professional marine and mobile applications. An effective solution for high power demand on board and/or the need of prioritised or current limited charging. Charges two battery banks from a single source. Electronic charge coupling with very low voltage drop. Makes effective dual charging possible. Suitable for all battery types, including Lithium Ion. Charge current secondary battery limited to 40 or 90 A. High system reliability by prioritised charging of the main battery. Unidirectional which blocks return current under all circumstances. Prevents power dips of the onboard electrical network. Suitable for all kinds of chargers and alternators. Monitoring with LED status indication. 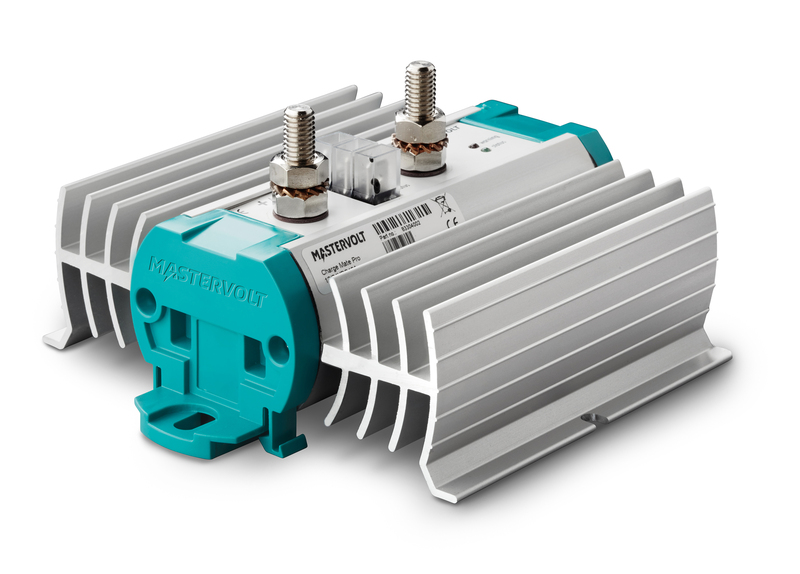 IP65 electronics in a corrosion resistant casing with aluminum heat sinks.